Diagnostic imaging is vital to detect disorders in the body or to keep a check on current disorders. The technology is also used for health screening checks and in the early detection and prevention of irregularities within the body. These scans are available on the NHS, but in recent years the waiting list for these treatments has lengthened considerably. You can choose to have the scan performed privately in the UK but some people may find the costs of doing so prohibitively expensive. By going abroad for diagnostic imaging you will save considerable time and expense; prices for diagnostic imaging in Europe are around half the cost you would pay in the UK and there are no waiting times. Combining diagnostic imaging treatments with a holiday abroad can work out cheaper than one treatment in the UK alone. Many of the countries in Europe have state of the art diagnostic imaging equipment that is of the same level, if not better, than those available in the UK. Spain, Norway and Germany have some of the best clinics available for this type of treatment. With cheap flights available at a low cost, and with short flying times to Europe, it has never been easier or cheaper to travel to these countries. There are many medical providers who will book your flight, accommodation and arrange your treatments at the clinics abroad. Many people are surprised at the low cost of the final total, and this is the reason that medical treatments abroad have soared in popularity. By checking the internet and talking to the medical service providers you will be able to tailor the treatments and length of stay to your own needs. Clinics abroad employ professional medical staff who have undergone many years of training to become qualified. The doctors, nurses, radiologists and radiographers are accredited within the EU and many have years of experience. Their aim is to give the best diagnostic assessment and treatment available. It is no surprise that due to staff shortages in Britain many of the doctors and radiographers from abroad are being employed in the UK. 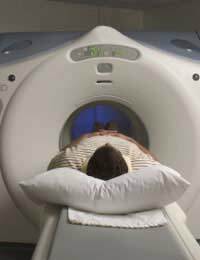 Magnetic Resonance Imaging (MRI) takes around 20 to 30 minutes and uses radio waves and a magnetic field to gain very detailed images of the soft tissue areas. The prices for the MRI scans can be broken down by body parts, so that you can receive a detailed bill. You will also be given a full medical report in English. A Computed Tomography (CT) scan uses cutting edge computer technology and x-rays to create different images of the body. CT scans can find abnormalities in the liver, kidneys, brain, spine and blood vessels. The length of time for a CT scan will be around five to fifteen minutes depending on the area and size of the body part to be scanned. Scintigraphy, or nuclear medicine, is very useful in detecting changes in bone metabolism, diseases of the lungs, thyroid problems, and for follow-up checks after cancer treatment. This treatment uses very small amounts of x-rays to detect and diagnose breast cancer. As with all cancers, the earlier the disease is detected, the more effective the treatments to eliminate the cancer will be. PET scans - to detect cancer and diagnose diseases of the heart and the detection of Alzheimer’s disease. Pregnancy scans - used to detect abnormalities of the unborn baby. Ultrasonography – used to detect lesions in the muscles and internal organs. If you are considering travelling abroad for your diagnostic imaging then make sure you undertake your research first. Ask plenty of questions if you are using a medical provider, and also ask for a consultation, if possible, with a doctor at the clinic you are intending to use. Also have a consultation with your own doctor, who will be able to have your medical history sent to the clinic abroad prior to the scan procedure, and who will want to view the results when you are back home.